Special Event Station R#17CW ,on the air from 22.july to 6. August. Work 20 station's and get an award bronze, silver ore gold. 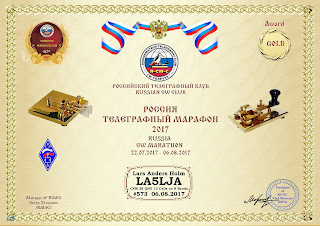 I managed to get the gold award, fun with this short time awards. It was 21 station's activ, I worked 13 and 28 qso's.